Maximize efficiency and achieve high-level quality with E2 Manufacturing Software. 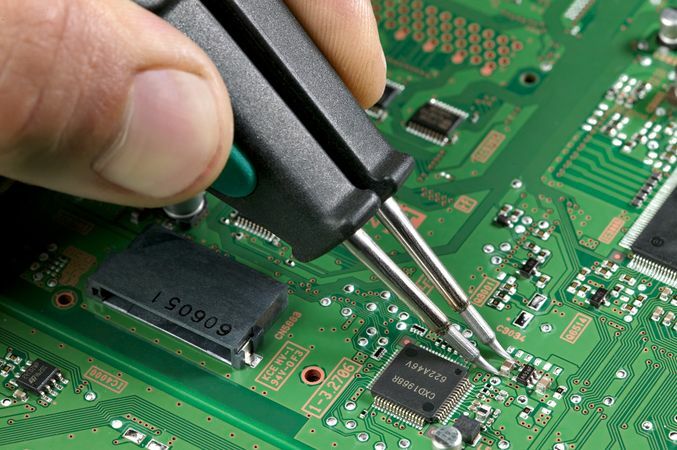 Printed circuit boards (PCBs) need to be precise and reliable. Are you looking to produce high-quality products with low costs in your shop? Shoptech’s enterprise resource software is the right solution to handle the growing complexities of printed circuit boards, while job costing and job tracking will keep production expenses low. E2 Manufacturing will track your circuit board manufacturing process from prototype design to assembly and shipping. With the virtual whiteboard in the Scheduling Module, you can track jobs and maintain a schedule without bottlenecks. Circuit board fabricators have an intricate process and high BOM, and E2 Manufacturing has the flexibility to handle complex, multi-level BOM structures with ease. Each printed circuit board has its own unique functions. The E2 Quality Module helps ensure that your products and shop meet industry standards, and can also make ISO certification easier to obtain. E2 Manufacturing helps circuit board fabricators control costs, measure quality and performance, and schedule their shop floor effectively along with every other area of managing the shop.